Toyota Gazoo Racing SA started the 2018 South African Cross-Country Series (SACCS) with resounding victory in Round 1 of the six-round championship, winning the inaugural Mpumalanga 400 thanks to a superb drive from defending champion Giniel de Villiers and co-driver Robert Howie. The pair finished the short qualifying race in second place on the Friday of the event but powered their Class FIA Toyota Hilux to victory in the main race, despite the wet and muddy conditions that marked the race. 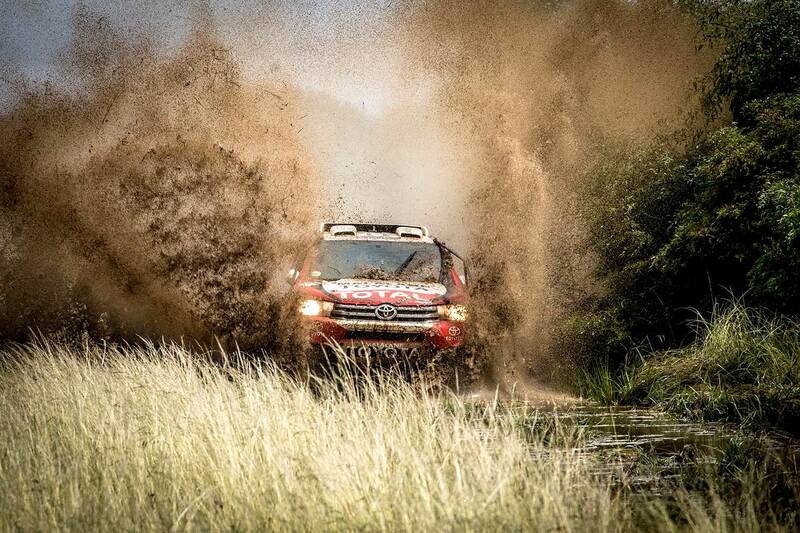 "The Hilux never missed a beat, which is astounding considering the conditions," said De Villiers from the DSP in Dullstroom, after successfully negotiating countless water splashes and many miles of mud. "We were fortunate to be able to keep it clean, and I’m very happy to have started the new year off with a victory." 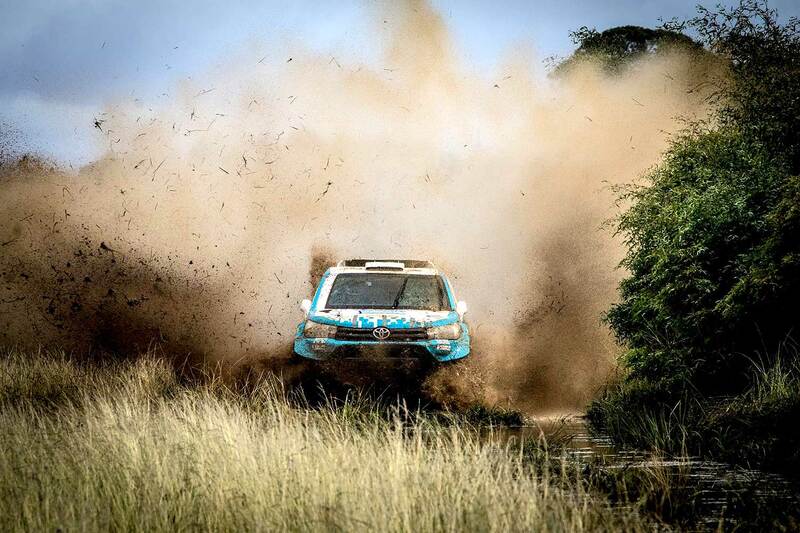 Chris Visser and co-driver Phillip Herselman brought their Atlas Copco-supported Class FIA Toyota Hilux home in third place. This was Visser/Herselman’s first outing in their new ex-works Toyota Hilux, and the pair were delighted to finish on the podium despite a tough qualifier, which saw them starting in 20th place for the main race. 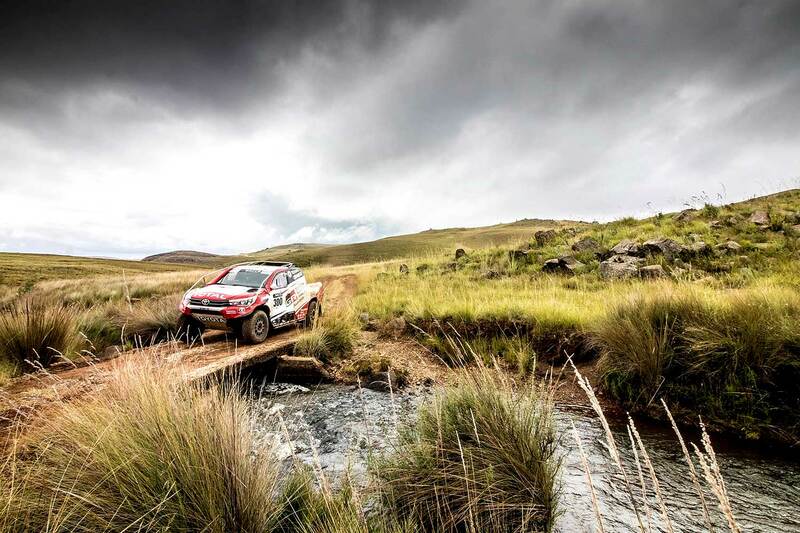 In Class T, Toyota Gazoo Racing SA’s Johan and Werner Horn found the going tough in the slippery conditions. But the brothers got the bit between their teeth in the main race, and brought the Malalane Toyota-backed Hilux home in a fine second place in Class T.
Toyota Gazoo Racing SA’s Henk Lategan started his career with the team by opening the road on the qualifying race. The young driver, partnered with champion co-driver Dennis Murphy, had an unfortunate incident early in the qualifier, when he got stuck in a tricky section on the route, losing just over 14 minutes while extricating the Toyota Hilux from a deep ditch. During the main event, the pair started the race as the last car on the road, but quickly powered their way up the leaderboard. Three punctures put a dampener on their charge, but Lategan/Murphy still managed to bring their Class FIA Toyota Hilux home in sixth place in the overall standings, and fourth in Class FIA. "It wasn’t quite the dream start I was hoping for," said Lategan after completing his first race for the team. "But at the same time, we scored some valuable points despite the tough conditions, and I’m looking forward to the next round already." Round 2 of the 2018 SACCS is the Battlefields 400, which take place on the weekend of 4-5 May, in the area around the Kwazulu-Natal town of Dundee.